The right trolling motor will help you to keep your boat moving when you’re out catching fish. As well as powering your boat, they are also capable of moving at the correct speed, at a consistent rate that avoids scaring all the fish away. A good motor puts you in control of your boat, and that’s something that’s vital when trolling, as anyone who’s ever tried it will understand very well. Buying a trolling motor can be tough because there are lots of them out there to choose from. 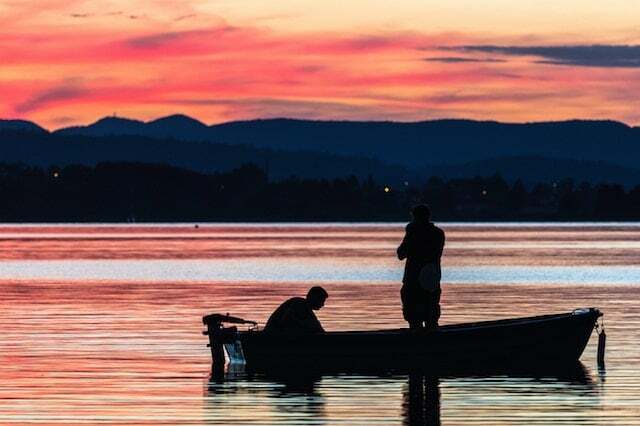 Since the performance of your trolling motor and battery (see our trolling motor battery review) have such an impact on your success or failure on the water, it is critical to ensure you choose the right one. 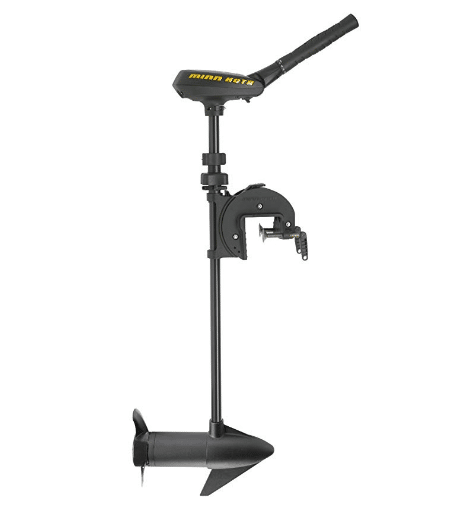 We’re going to look at the best trolling motors on the market right now so you can decide which of these offers the features that are most appealing to you and best able to meet your specific trolling needs. This high-quality trolling motor might not be for you if you have a limited budget, but if you’re willing to spend big in order to get the best performance out of your motor, it’s worth considering the Newport Vessels 86lb Thrust electric trolling motor. For many people, this is the best trolling motor on the market right now, and it’s certainly easy to see why people feel that way. Thanks to the high-quality build of this motor and the high-end technology used, you can rely on the motor to remain ultra-quiet and cool at all times. You won’t have to worry about the fish being scared off by the sound of your motor and you won’t deal with overheating either. The last thing you want for your trolling motor is for it to be damaged easily by the water. Thanks to the corrosion resistant materials used to create this motor, you won’t want have to worry about any of that. It’s perfectly suited to use in saltwater environments. 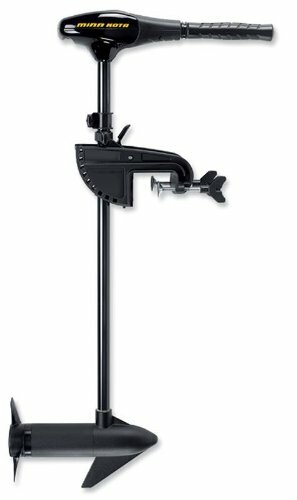 A composite fiberglass shaft has been used as part of this trolling motor, and it adds to the versatility and ergonomic nature of the motor. 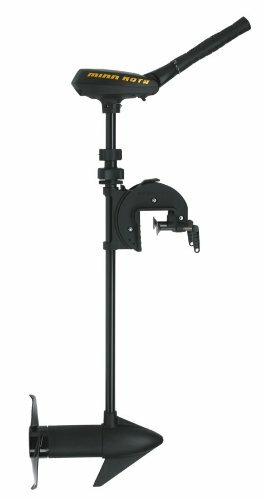 It’s fully adjustable, making it possible for you to use the motor in exactly the way you want to. You can place it in whichever way the scenario demands. The handle is also designed in a very ergonomic way. It’s possible to extend it so that it meets your needs precisely at the right time. It offers plenty of speed options and gives you the level of control you’re looking for. Stainless Steel Hardware - Corrosion resistant hardware means this motor is ready for any saltwater or freshwater environment! This trolling motor offers efficiency and plenty of power, making it possible for you to put it to use for a very long time. It also performs quietly, which is very useful when you’re out fishing and trolling. The MinnKota Traxxis offers strong performance by making use of the latest technology to improve outcomes for the user. Here are some more of the things you should know about it. 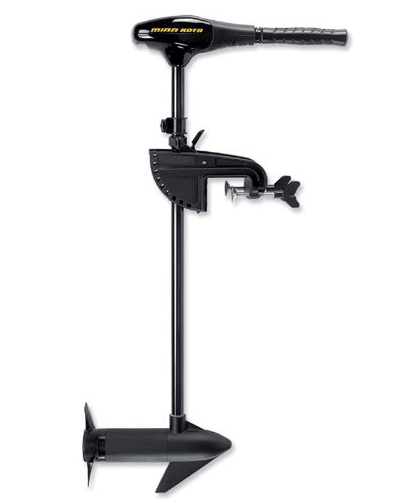 It’s clear that the MinnKota Traxxis has been designed with freshwater usage in mind. This might be a drawback to some people who would like the option to use it in saltwater environments, but it also means that it’s designed for the precise demands of freshwater fishing, which will be a positive for many. Efficiency is another thing that this trolling motor does very well. It uses digital maximizing technology to run the motor 5 times longer than would otherwise be possible without the need for recharging. That kind of efficiency is certainly very impressive indeed. When you’re using your boat in tough and testing weather conditions, you need to know that you can rely on the trolling motor that you’re using. That’s something that this MinnKota Traxxis can really offer you. It’s suitable for all kinds of uses and natural conditions. The very strong warranty offered with this trolling motor should provide you with some extra peace of mind before you make your purchase. The two-year warranty means that you can test the product and see if it works for you without ever taking a big risk. If you’re working with a relatively small budget but still want a trolling motor that you can really rely on, you might want to look at this model. It’s from Minn Kota, so it’s a brand you can trust. But at the same time, it’s not expensive at all. Of course, there are some trade-offs that make this notable. First and foremost, the motor offers less thrust that other models on this list, but that’s not a big deal for many users. 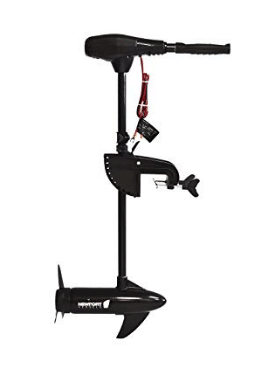 The variety of speed options that come with this trolling motor make it very adaptable. It also puts the power and control back in the hands of the user because it means you’ll be able to control the boat like never before. With 8 speed options, it’s up to you how you use your boat. To call something indestructible is a pretty big claim. But that’s what Minn Kota are willing to say about the composite shaft used as part of this motor. You won’t have to worry about it breaking, and the manufacturer is so confident of this that they’ll give you a lifetime guarantee when you buy. The telescoping handle of this motor also makes it very easy to change the speed and control it closely when you’re on the water. It’s designed in a very ergonomic and straightforward way, allowing you to use your boat and power it in exactly the way you want to. The affordability of this motor is something that can’t be ignored. Considering the quality of the product and how much it offers users, it’s a little surprising that it’s available as such an affordable and inexpensive price compared to many others on the market. 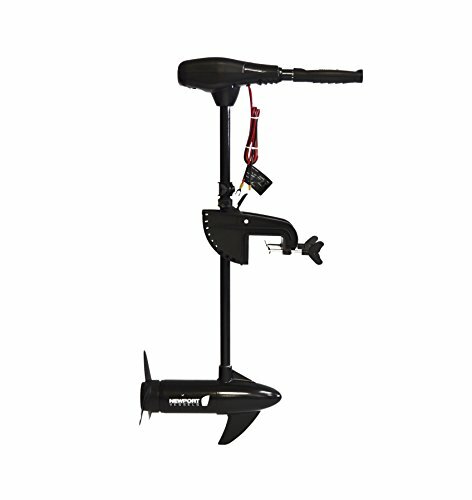 With the right materials being used and a very affordable price, the Newport Vessels 55 pound trolling motor is not to be dismissed. It’s already being used by many people and it’s considered to be ideal for trolling and other fishing activities. The uses for this motor are many and varied, so if you need something more versatile, this could be the trolling motor for you. Thanks to the stainless steel and zinc used in the creation of this trolling motor, it’s perfectly suitable for use in saltwater situations. It means you can use it anywhere you want to, no matter what kind of water you find yourself in on your boat. It’s also versatile enough to be used on all kinds of different boats. It doesn’t matter whether you’re using a large fishing boat or a small inflatable. 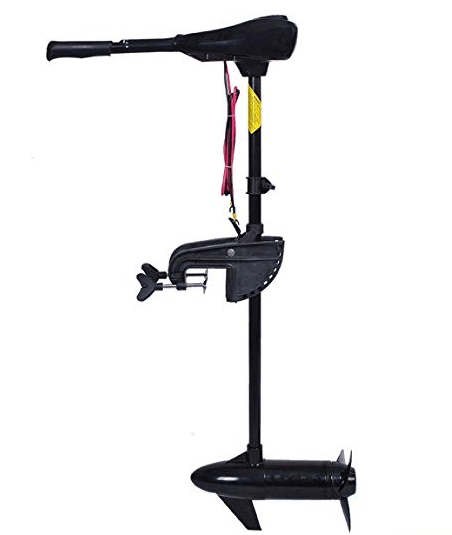 There are not many trolling motors on the market today that offer the levels of versatility offered by the Newport Vessels 55 pound electric trolling motor. Another nice touch is provided in the form of the battery meter on the trolling motor. It’s very convenient and offers a simple way for you to see exactly how much of the battery power is left and what you can expect from it in the hours ahead. The cool and efficient design of this trolling motor mean that you’ll never really have to worry about your trolling motor overheating or causing any of the problems that are normally associated with that. It’s also very quiet so won’t scare away any fish. 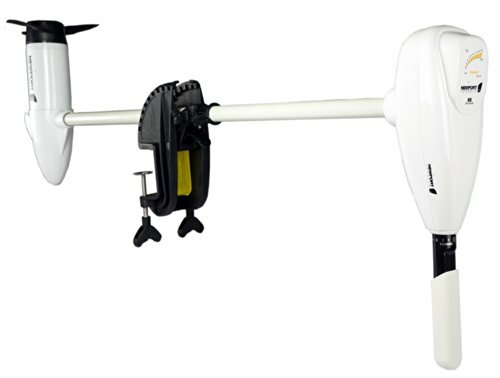 The Goplus Electric trolling motor is a very good motor option for small and medium-sized boats, so if that’s the kind of boat that you’re operating, this is an option to consider. It’s not suitable for bigger boats, but that’s not what it’s for. It’s built in a way that combines ease of use with strength and durability. It puts you in control when you’re using it and that’s a pretty big deal. 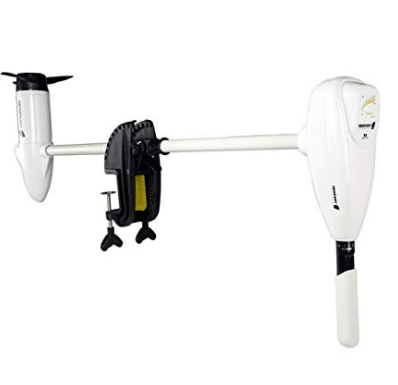 Using a three-blade propeller design means that this electric trolling motor is able to cope with all kinds of situations and environments in the water. It allows you to keep moving in a smooth and steady way when you’re on the water, and that’s got to be a good thing. The motor uses a reinforced nylon bracket and it’s this that offers the motor greater durability and strength. Everyone who’s looking to buy a trolling motor wants it to be as robust and durable as it can be, so this offers you extra peace of mind. The battery indicator using LED lights not only protects the batteries but provides you with an easy way to see how much power the batteries have left before they have to be charged again. Finally, the refined controls offered by this trolling motor make it easy and uncomplicated to control speeds and switch between the full range of them without any problems at all. 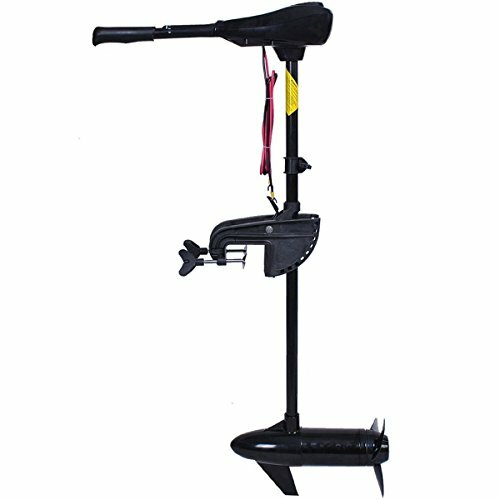 【6" Adjustable Handle】: You can control this freshwater trolling motor easily and comfortably with the 6'' telescoping adjustable handle. 【Easy Handling】: 5 forward speeds and 3 reverse speeds put total control at your fingertips for a smooth and easily controlled ride. 【Smooth Movement】: The unique design of Three-Blade propeller ensures smooth movement even through underwater grass and marsh. 【Battery Indicator】: 10 points LED lights battery indicator helps protect the batteries, it is convenient to observe how much electricity is left. 【Sturdy and Durable】: Reinforced Nylon Bracket ensures high strength, good ablation resistance and good dimension stability. Fiber glass composite shaft ensures high tensile strength and corrosion resistance. In addition, durable aluminum head increases the service life of the motor.